Lionel Messi Equals Raul’s Champions League Scoreing Record Before Ronaldo. 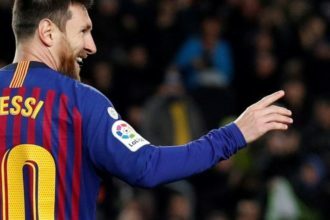 Barcelona forward Lionel Messi has equalled the European Champions League scoring record with former Real Madrid and Schalke 04 striker Raul. The Argentine headed Barca in front in the Dutch capital nine minutes before halftime and then prodded home Pedro Rodriguez’s low cross to match Raul’s mark(71 goals) in his 90th appearance in the competition 15 minutes from time. 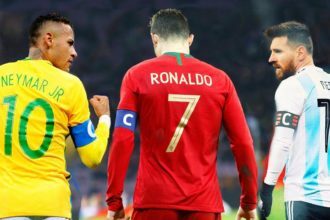 Messi now leads Real Madrid rival Cristiano Ronaldo by one goal after the Portuguese failed to find the net against Liverpool on Tuesday.